It’s not every day that an iguana visits your school, but today it really did happen! ‘Rocky the Rock Iguana’ came to Provo Primary, together with Dr. Higgs from the National Trust, to tell us all about the recently launched ‘Saving the Iguana Islands’ project. We learnt that rats and cats can be a threat to the iguana populations, and that the project is working hard to keep them away from areas where the iguanas are living. We also learnt about how we should behave around iguanas, when we see them, by being quiet and not feeding or chasing them. It was lots of fun to meet ‘Rocky the Rock Iguana’ – he rocks! Having our class photos taken with him was really special. We felt very lucky that ‘Rocky’ and Dr. Higgs came to visit us during our special Iguana Week. Thank you! We will do our best to remember all the important information they shared with us and share this with everyone we know. It’s ‘IGUANA WEEK’ here at Provo Primary! Our ‘Iguana Week’ kicked off to a great start this morning with an informative visit from Amy Avenant from the DECR. Speaking to all our children from Junior Kindergarten to Year 6, she explained why our iguanas are so special to our islands and why we need to protect them. Thank you, Amy. 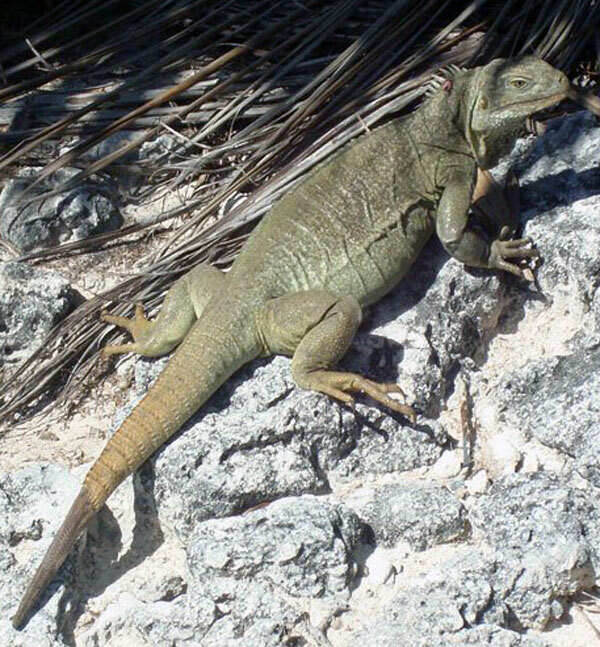 Did you know that rock iguanas found here are endemic to the Turks and Caicos Islands, which means that they are found nowhere else in the world. How special is that! If you would like to learn more facts about our iguanas, then come and ask any of our children. You can also find out more at this website and, even better, plan a visit to Little Water Cay and see them first hand! Throughout this week we’ll be learning even more about our iguanas and comparing them to others around the world. We certain should be experts by the end of the week! As a final celebration of our ‘Turtle Week’, here is a short video selection of the fantastic activities and experiences that the children across the school engaged in during the week, with a special thanks everyone who helped. We feel very fortunate that our children’s learning was enhanced by so many community supporters. Please enjoy all the wonderful photos. Years 5 and 6 were very fortunate to work alongside Lempen Puppet Theatre Company last week when they visited Provo Primary. To support our environmental focus on ‘Turtles’, Lempen Theatre Puppet experts Daniel and Liz ensured that our students Design and Technology skills would be put to the test. Listening to the story of ‘Fisherman Joe and the Three Brothers’ set the scene for our very own moving turtle puppets! A HUGE thank you to local artist Lucie Winton-Stubbs, from Diftwood Studios, for coming in to help create these beautiful paintings together with our Year 3 and 4 children. What a multitude of skills and techniques were taught as she carefully took them through the process step-by-step. I think you will agree that she encouraged oodles of artistic flair and talent to be creatively released onto the canvas. Aren’t they wonderful?! Look closely and you will see lots of individual details – just like their creators, there are many similarities and yet they are unique in their design! 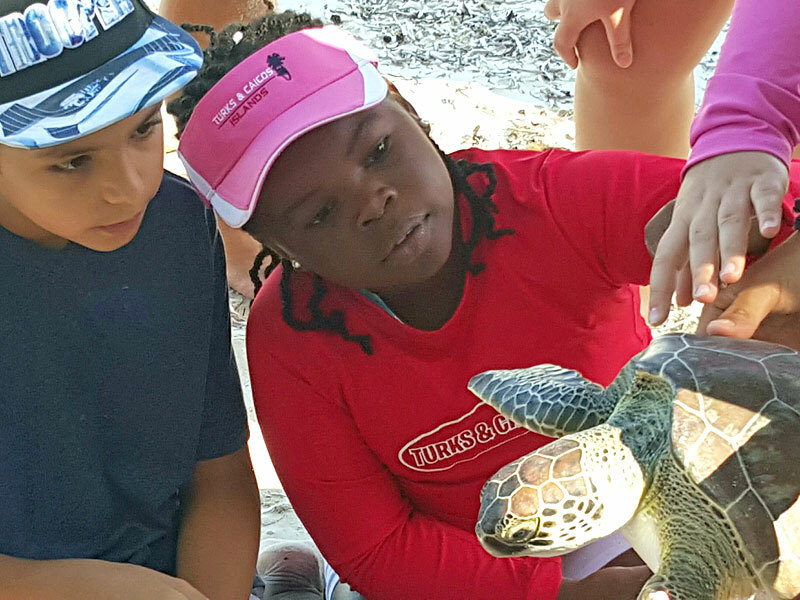 Our Year 4 Flamingo class quite literally dived into the world of the sea turtle, joining Jackie Walker from Amanyara Nature Discovery Centre, and Amy Avenant and Katharine Hart from DEMA at Coral Gardens for an educational visit to witness first-hand how sea turtles are tagged in the TCI. Kindergarten decided to team up with the Year 1 class and carry out some fun activities together. We split into 3 groups and worked on 3 different activities which were all about turtles of course – drawing turtles, writing poems and making hatchlings. Have a look at our photos to see exactly what we did and how much fun we had. 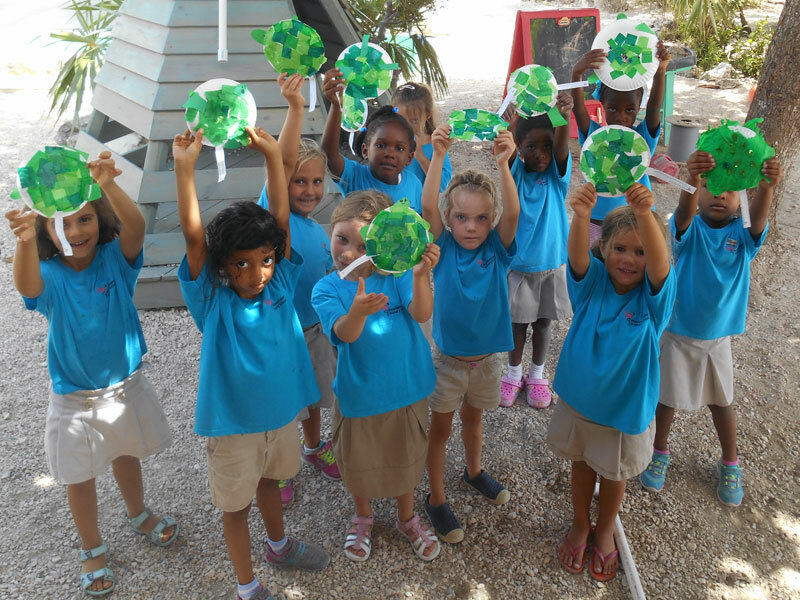 Has our ‘Turtle Week’ at Provo Primary inspired you to find out more about sea turtles in the Turks and Caicos Islands? If so, then perhaps you may like to relax in a hammock, or on the beach, and read through some wonderful articles from our locally produced magazine – The Times of the Islands. Keeping Tabs on Turtles – Beach profile monitoring for marine turtle nesting areas. Turtle Travels Unraveled – “Stay at home” turtles are valuable to boosting local populations. Mother Sea Turtle – A look at the importance of turtles to the Tainos as food and myth. A Promising Prognosis -Tackling TCI’s turtle fishery. Thank you to The Times of the Islands team for collating and passing these on to us. Looking Ahead to ‘Turtley’ Amazing Turtle Week! It is ‘Turtle Week’ next week at Provo Primary School and it is going to be a fun-filled educational and conversational exploration into the world of Turtles here in Turks and Caicos. Find out more in our ‘Turtle Week’ Newsletter. A wide variety of activities are planned, many of which will be led by community volunteers and supporters. These include a turtle puppet workshop with the Lempen Puppet Theatre Company; presentations and workshops with local environmental experts from DEMA and the Amanyara Nature Discovery Centre; a first-hand experience of tagging a turtle at Coral Gardens; the creation of an acrylic painiting under the guidance of local artist Lucie Winton Stubbs and a viewing of phenomenal turtle photography by David Gallardo and Sean Brady. We would like to thank all of these people in advance for sharing their time and expertise with us. Their contributions, together with our teachers plans, will help make our ‘Turtle Week’ turtley amazing! Turtles! Turtles! Year One Loves Turtles! This term in Year 1, we have been exploring and learning about the Turks and Caicos Islands. We’ve researched our coat of arms and flag, as well as the national colours and what those colours represent. 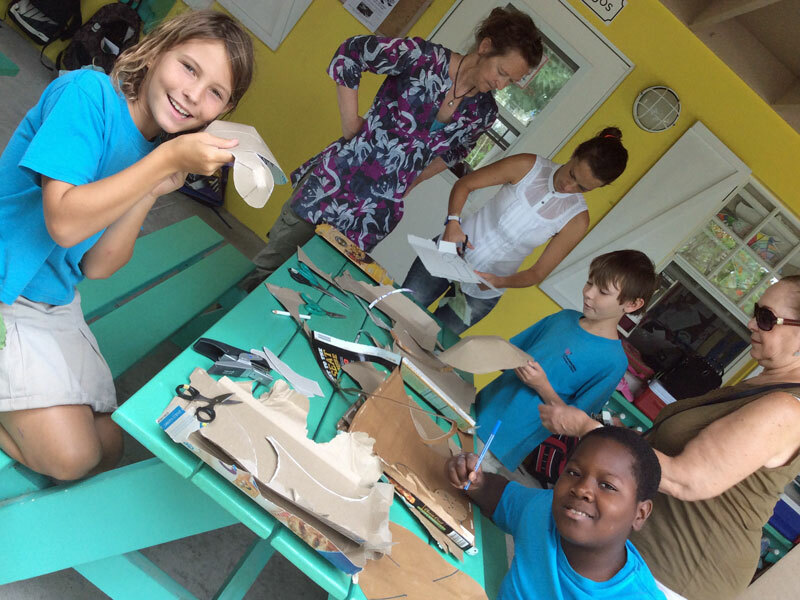 Along this topic, we have also started to learn about the local wildlife and plant life found on Providenciales. We were lucky to have Mrs. Bonnie come into our classroom for two sessions and with Mrs. Bonnie, we investigated sea turtles. We read a book called ‘One Tiny Turtle’ and used the book as a jumping off point to find out information facts about turtles. We now feel like experts! Did you know that leatherback turtles can grow to be as long as an adult human? Or that when turtles lay eggs, they don’t just lay a few eggs, they lay a lot of eggs? In our last session together, we watched a short turtle video that showed how turtles glide in the water. We used the video to help us complete a turtle poem. We came up with a few lists of words to help describe turtles and also to describe what turtles like to do. Please have a look through and see the children in Year 1 having fun with poetry! During our Shark Week, Year 3 went Shark and Teeth Crazy! In Science we have been looking at Teeth and in Numeracy we have been looking at Fractions. To combine our shark learning we decided to make some pop-up sharks with different coloured teeth. Look out for these beautiful sharks when you are out snorkeling next time! Our challenge was to find the fraction of different coloured teeth for our individual sharks. We are now the fraction teeth experts but can you recognise who is behind each shark mouth in the photos? Each year we dedicate a week to learning about wildlife in our local environment. Shark week follows on from our successful Osprey Week last year. This week across the school, classes are investigating sharks. We would like to thank all the community members who will be offering their expertise. On Wednesday, David Gallardo (photographer) will be sharing his amazing photography and diving with shark experiences with Jk – Yr2. 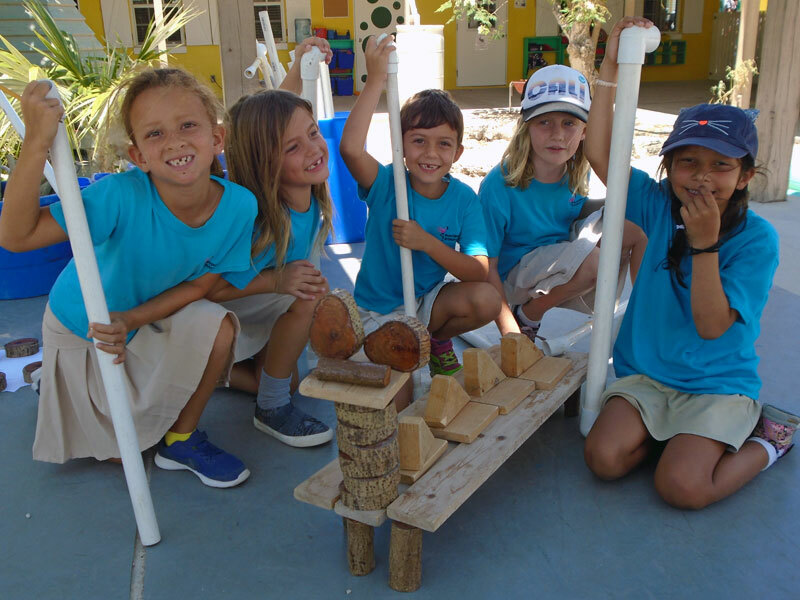 On Thursday, Tina Randall (Shark Defenders), Jackie Walker (Amanyara Nature Discovery Centre) and Amy Avenant (DEMA) will be joining together with our Yr. 1-6 teachers to offer a morning of shark activities that the children will rotate through. Activities will include: fact finding, crafts, poetry and drama. Bring your cameras on Friday and take some family photos with the Stanley Shark photo board. Years 5 and 6 were extremely fortunate to attend Brayton Hall and listen to a talk delivered by Rob Stewart. Rob Stewart is an enthusiastic advocate for sharks and the maker of the documentary film ‘Sharkwater’. Following this, our Year 2-4s were also able to join in as Rob was able to squeeze in a time to come to the school and talk to them too – thank you Ali for arranging this. Community members are invited to a public screening of ‘Sharkwater’ Saturday evening – see details here. 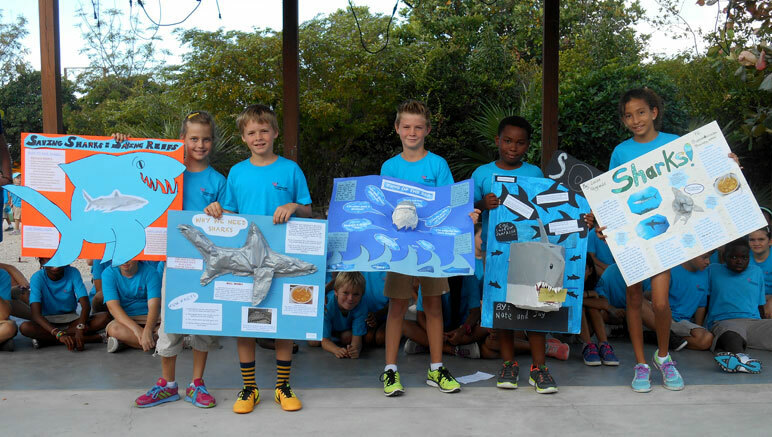 What an amazing level of participation – a total of 63 students, from Year 1 right through to year 6, entered the Amanyara Nature and Discovery Centre’s Shark Conservation Awareness Poster competition last week. The message was clear on every child’s poster – sharks are important to the marine ecosystem and we need to protect them, both here in the TCI and globally! We were extremely impressed by the high standard of research, aesthetic presentation skills and the phenomenal level of creativity that went into each poster’s design. Recognition of the time and effort that each child had put into their poster was celebrated in a special assembly on Wednesday and each child received a special certificate – well done, everyone! All of the posters were displayed around the school and, at the end of the assembly, we all got the opportunity to view them together. 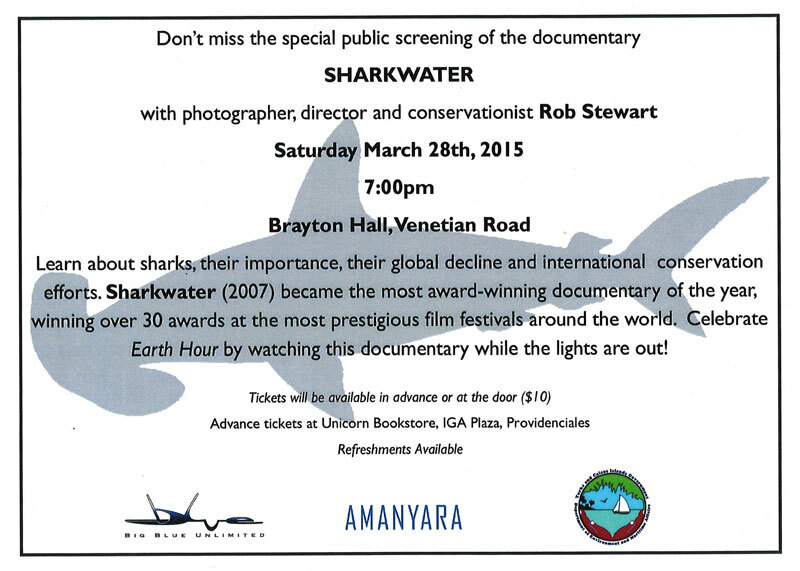 All the posters will be displayed at the Rob Stewart Sharkwater Talk and Screening event at Brayton Hall this Saturday and also at the Turk and Caicos Reef Fund Cocktail Party fundraiser on Wednesday at Provo Golf Club – we hope to see you there at either or both events. 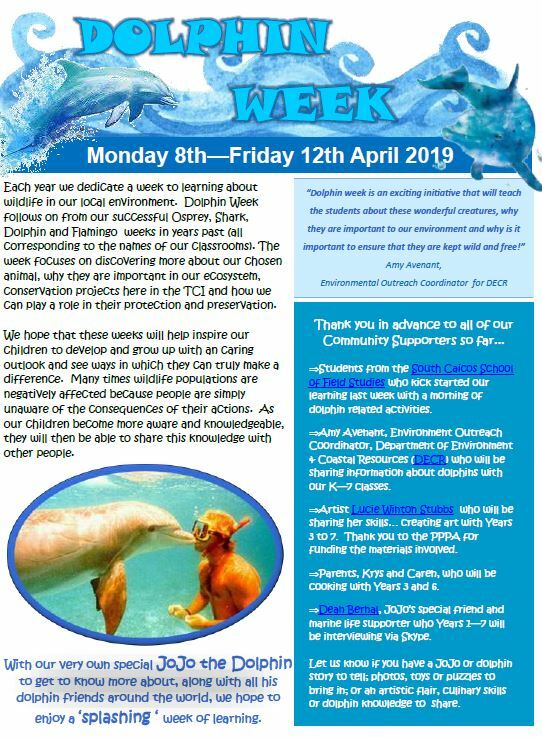 Our Year 5 and 6 students have been invited to a special Sharkwater school presentation this Thursday. Next week is World Osprey Week and we are reminded of our dedicated week of learning connected with this last year. Please take the opportunity to go out with your family to observe our local ospreys over this week and continue to promote the conservation of these majestic birds who live amongst us here in the TCI. There are a number of osprey nests to visit – at The Bight Children’s Park, in Grace Bay, Leeward and at South Bluff. If you would like to reminisce on the activities we did last year at school then please take a look through our blog posts. You can also find out about WOW 2015 at www.ospreys.org.uk and follow interactive maps that track ospreys as they migrate around the world. This year, our local week study will focus on Sharks. This will take place next term during 20th-24th April. Design a Poster – Why should we care about sharks? Did you know that sharks are an important top predator in the ocean and keep the ecosystem in balance? During the week of March 26-29th, 2015 Rob Stewart: director, photographer, and conservationist will be making a special trip to TCI and our older students will have the opportunity to hear him talk about why we should care about sharks? Rob is an active shark advocate. He participates in many global shark conservation campaigns and will be here in TCI to increase education and awareness about the importance of sharks in our environment. Today in our KS2 assembly, the students were introduced a special poster competition linked to Rob’s visit. It aims to be a way for students to express their knowledge and love for sharks. Entries need to be in by next Friday (13th March). 5 posters from our school collection will be chosen by teachers to be entered. Students of winning posters in the overal competition will receive some shark goodies. They will also be given tickets to Rob’s Community Presentation, at which their poster will be displayed. Continue reading to see more information about the poster competition and Rob’s Community Shark Presentation that we hope you will be able to attend. The news that ospreys have been spotted on our adopted nesting platform in the Children’s Park has been received with great excitement. Ospreys were first seen at the site last week, gathering nesting materials and building their nest. It’s a wonderful community place to see ospreys living amongst us and we hope they will be happy with this busy location – hold on tight to your fish on ‘Fish Fry’ night! During World Osprey Week earlier this year in March, our Year 2 children went to see the platform being erected. 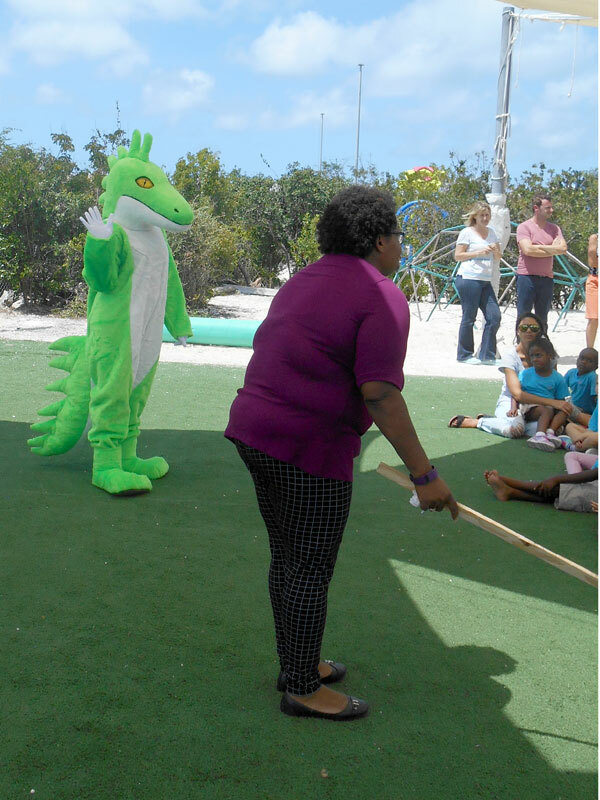 It was a joint venture between Fortis TCI and DEMA and was inspired by Provo Primary School alerting them to the World Osprey Week celebrations. 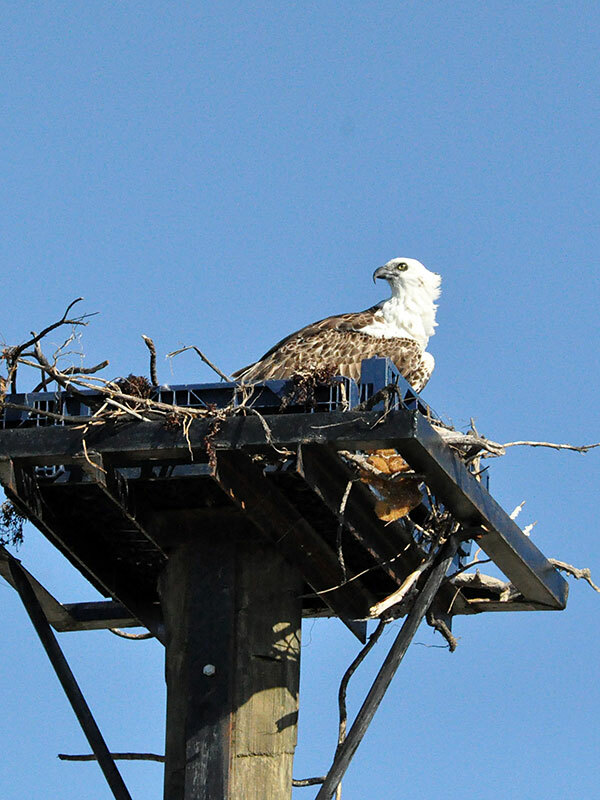 We look forward to watching the ospreys and hope that eggs and chicks will soon follow. World Osprey Week – A Fantastic Week of Learning! Thank you to everyone at the Leicestershire & Rutland Wildlife Trust for organising this wonderful WOW celebration and encouraging us to learn more about the ospreys that live here in our islands. The week has been a great success and the interest of the children and the support community has been amazing. A true example of learning at its best! Year 5 had a real treat this Thursday! We were lucky enough to enjoy the expertise of Mr Terry Richardson who is a keen photographer of birds. He showed us an amazing collection of osprey photos which really ‘told the story’ of an Osprey’s life cycle, something we have been studying recently. The background detail Mr Terry gave to every picture was so interesting and all the children thoroughly enjoyed the talk as well as the truly awe-inspiring close-ups he has been able to photograph! Please come back again to show us more of your nature photos!